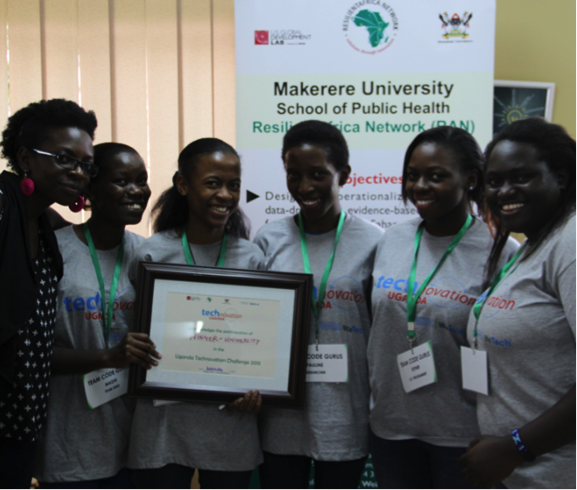 RAN4Gals is inventiveness at Makerere University School of Public Health ResilientAfrica Network (RAN) www.ranlab.org to encourage female participation in developing resilience innovations in an effort to respond to communities’ most pressing challenge. 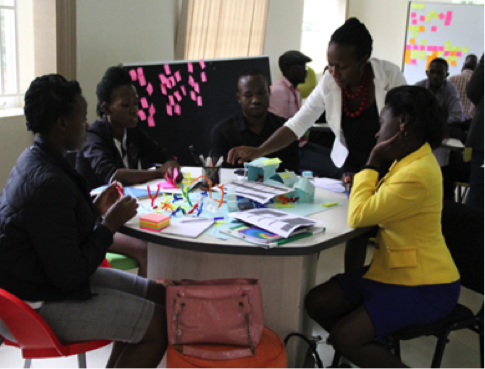 RAN4Gals participants benefit from opportunities including capacity building in courses like Design Thinking, Needfinding, Business Modeling and pitching among others. They also receive technical support and guidance (Mentorship and Business Coaching to push their ideas or projects forward). This support is offered through; Bar Camps, Ignite Innovator Series, Girl Rising Movie Nights in partnership with the Higher Education Solutions Network (HESN), Technovation Challenge (Global) technovationchallnge.org, http://technovationug.blogspot.ug/ partnering with other Hubs on female initiatives and connection to RAN and the Higher Education Solutions Network (HESN) opportunities. The Technovation Challenge is a technology entrepreneurship program and competition for young women. This program teaches these young women to build mobile applications to solve community challenges where they live. Professional women mentor teams of 3 to 5 girls aged 18 and below and together they go through the online curriculum over a period of three months. The program, which has no direct costs to the participants, equips the girls with technical and entrepreneurial skills, with a goal of creating a mobile phone app that they can take to market. The teams first pitch their apps to a panel of regional judges and winners of regional challenges are invited to the World Pitch Night in Silicon Valley. The winning team receives $10,000 USD to productize their app. 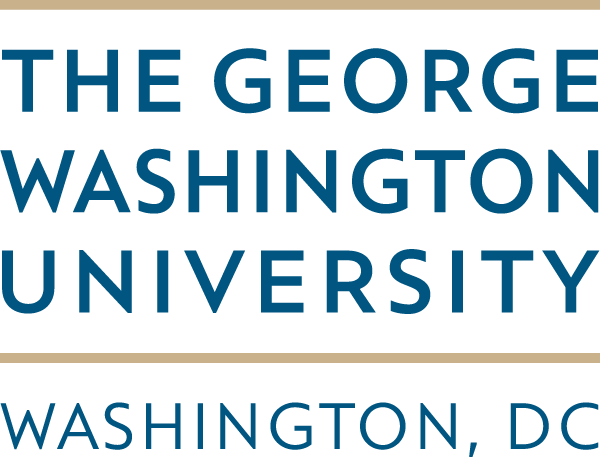 The Global Theme for 2015 targeted developing an app to solve a real problem in their community. 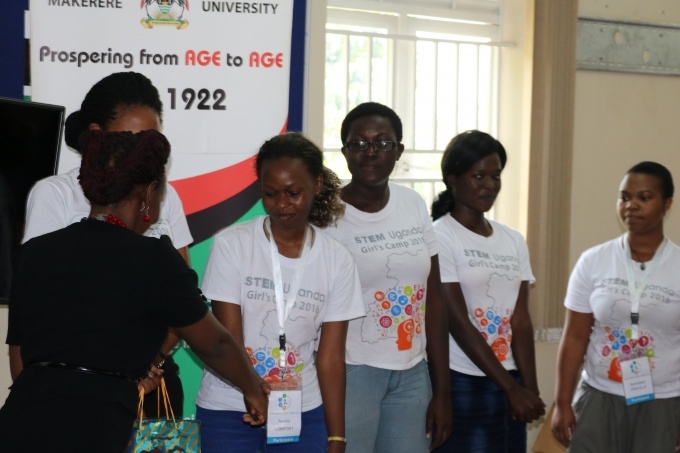 Together in partnership with the College of Engineering, Design, Art and Technology (CEDAT) under the Science Technology Engineering and Mathematics (STEM) Coalition RAN hosted the National Technovation Challenge. The Technovation Challenge is a 12 Week Program in which teams of secondary school and university young ladies are tasked to develop mobile apps. The 2015 theme was “Solve a problem in your local community”. Last year, the teams were introduced to the Resilience Innovation Challenge 4 Advance Climate (RIC4ACE) challenges as a source of additional challenges they could consider working on. Participating teams were from: Busitema University, Kisubi Brothers University College, Makerere University, Mbarara University for Science and Technology, Gayaza High School, Kyambogo College School, Lira Town College, Makerere Modern Secondary School and Maryhill High School. The National Technnovation Challenge/Regional pitch was held at the RAN Eastern Africa Resilience Innovation Lab on June 4 and 5 2015 starting 1:00pm to 5:00pm and 8:00am to 3:00pm respectively. The 2015 National Theme “Local solutions for community development “was specifically crafted to involve and appreciate the multi-disciplinarity of the various participants in regards to tackling community challenges. We recognize that our communities’ challenges cannot be solved by technology alone and hence collaborate with scholars and innovators from other fields and disciplines of specialization in an effort to generate solutions directed towards addressing these challenges. 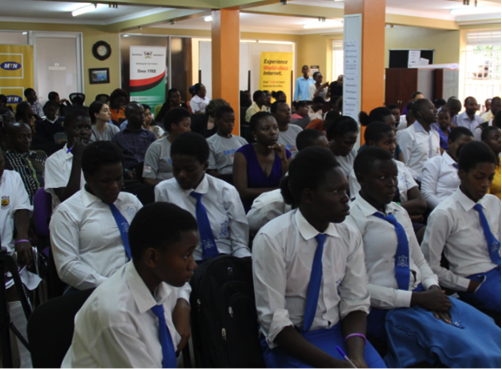 The BarCamp was as a result of strong and pregnant reviews, criticisms, and largely interactions that followed the screening of the first ever Higher Education Solutions Network (HESN) movie #GirlRising at Makerere University on Monday April 19, 2015. This conversation was started @AfricaResilient twitter page and ladies who were part of the conversation managed to follow it up and actively participate the Bar Camp. It was observed that the attendance and participation was largely dominated by the gentlemen as opposed to the ladies. This sparked some concerns and later a discussion that “ladies seem to be sorted out, are afraid, less motivated or shy away from leadership” among others. Leadership – bottom – up involvement of the members in creation of objectives, work-plans, team growth and transition. Membership inconsistences – in participation, real-life use of the knowledge learnt as well passing it on to their peers. It is from the observations above that ResilientAfrica Network (RAN) hosted a #BarCamp panel discussion to share a light moment with representatives from various girl groups not only to understand but also identify how they can work together with these initiatives to tackle emerging challenges and scale impact. Also known as the Higher Education Solutions Network (HESN) Movie Night. As one of the students’ engagement activities, this is aimed at bringing together students at a local and an international level, physically and remotely to watch and discuss a movie on today’s developmental challenges. The first movie was about GIRL RISING! 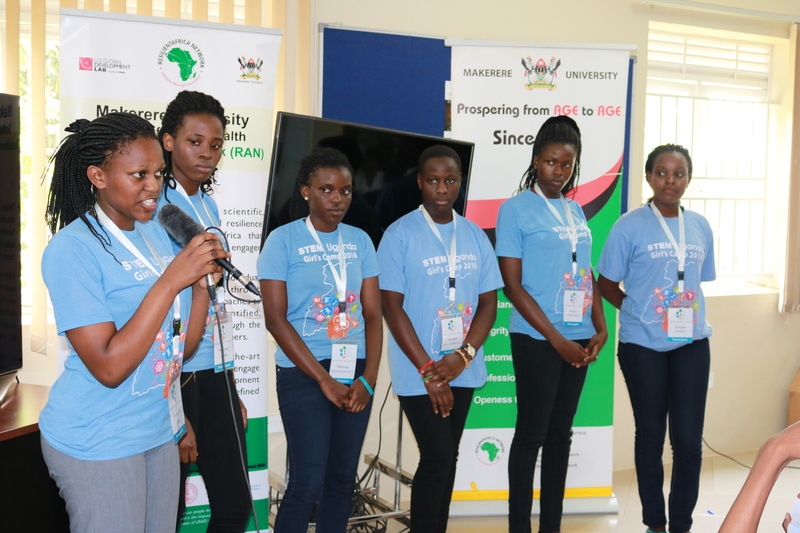 It is also an opportunity for the students to learn together, interact with the HESN folks and feel the ambience of the Makerere University Main Hall in Kampala Uganda. RAN4Gals has just concluded implementation of the STEM Uganda Girls Camp http://stem.ug/#menu in collaboration with Mt. St. Mary’s Namagunga, Lacie Technoligies, the US Mission, Techmakers, Google Uganda, Zimba Women, Peace Corps, Akorion among others. Details shared here http://www.ranlab.org/stem-uganda-2016-girls-camp. 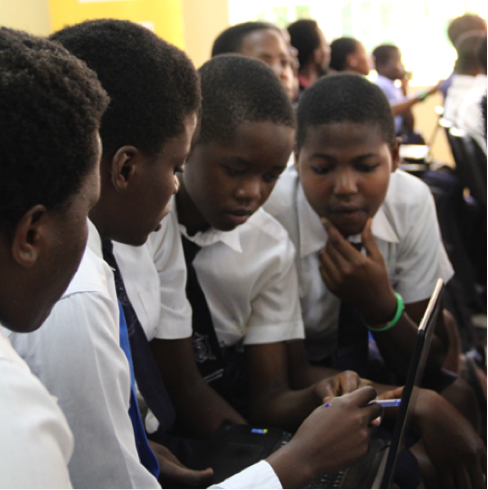 Currently, RAN4Gals is in partnership with the Technovation Challenge 2016 team (Global) following completion of the 2015 challenge to further encourage and support Secondary School and University females develop innovative solutions to address specific community challenges in the communities in which they live. For details and to apply, visit technovationchallnge.org. Engaging females in Science and Technology for Development at the RAN Innovation Lab.